Volkswagen Tiguan Running Costs, MPG, Economy, Reliability, Safety | What Car? 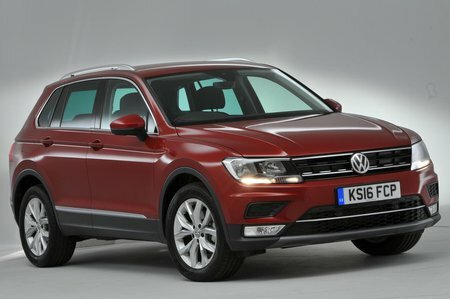 The Tiguan may seem reasonably priced when you look at the entry-level model, but the price increases significantly when you factor in the 2.0-litre diesel engine and SE trim level. More positively, it should hold its value well, and running costs are low on two-wheel-drive models, especially those with a diesel engine. Don’t overlook the 1.4-litre TSI petrols, however, particularly if your annual mileage is quite low. Automatic versions are, typically, slightly dirtier and less economical, yet command a hefty premium. Volkswagen offers a three-year/30,000-mile fixed-price servicing scheme, which should help with budgeting. Entry-level S variants get the basics, including air-con, 17in alloy wheels, four electric windows and a touchscreen infotainment system with Bluetooth and a DAB radio. We’d recommend opting for the higher-specification SE, though. This trim level brings three-zone climate control, front and rear parking sensors and cruise control. 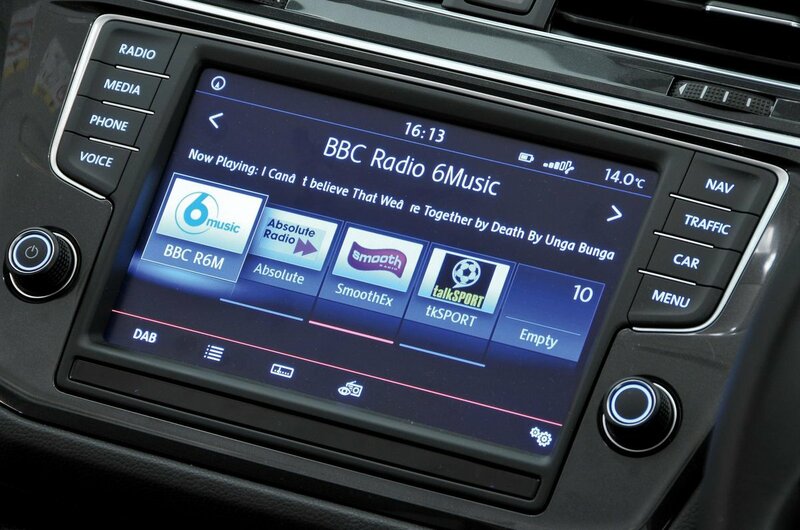 SE Nav is our favourite because this adds sat-nav. To this, SEL adds a fully configurable digital instrument cluster, LED headlights, adaptive cruise control, different 19in wheels and a panoramic sunroof. Range-topping R-line versions gain 20in wheels and stiffer sports suspension, as well as a host of minor interior and trim upgrades for a sportier, more distinctive look. Volkswagen finished 22nd out of 32 manufacturers in our latest reliability survey. However, the Tiguan registered the third best reliability score in our family SUV class, finishing behind only the Kia Sportage and Dacia Duster, so you can reasonably hope your Tiguan ownership will be relatively hassle-free. To further ease any concerns, a conventional three-year/60,000-mile warranty is standard, but there are two extended warranties available, covering up to four years/75,000 miles and five years/90,000 miles. These aren't overly expensive, so are worth investing in if you’re planning to keep your Tiguan for a while. Impressively, automatic emergency braking is standard on every Tiguan – it can slow or even stop the car if it senses a collision is imminent at low speeds. 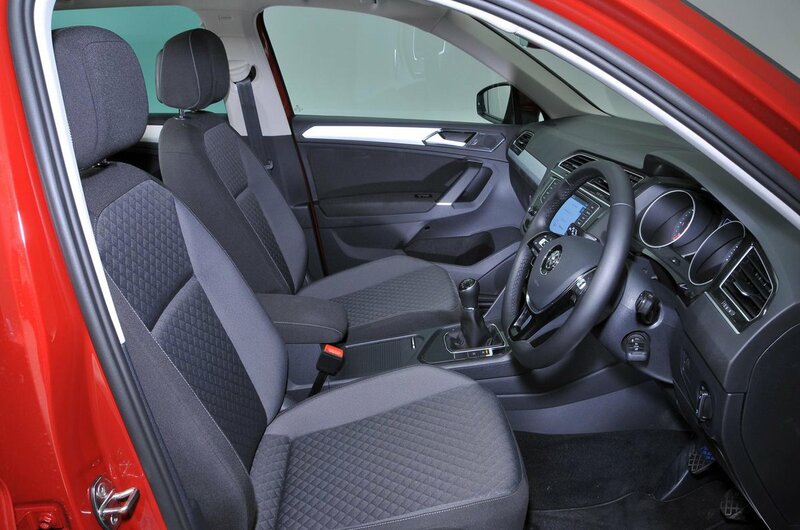 The high seating position and permanent four-wheel drive (on some models) will appeal to many buyers, too. Euro NCAP awarded the Tiguan five stars (out of five) for safety. A more in-depth look at the results shows the Tiguan is better at keeping adults out of harm than either a BMW X1 or Seat Ateca, although the X1 is the safer choice for child occupants and pedestrians. Meanwhile, security experts Thatcham Research awarded the Tiguan impressive marks for resisting being stolen or broken into.